The days of the Federal government’s stealing money from taxpayers or borrowing it from the Federal Reserve to save troubled banks — as in it did in the 2008 crisis — may be over. Congress is considering imitating the theft in Cyprus and letting troubled banks “bail in” depositor money in order to make themselves solvent. What happened in Cyprus in 2008? After the banks in the Tax oasis Cyprus crashed the local government decided to avoid tough constraints from the European Union and their extended arm the EZB (European Central Bank) they just take the money they need from the depositor savings. The idea was that people who had savings there should do their share on rescuing the country by being forcefully stripped of 10% of their savings no matter if cash on a savings account or any form of assessment. After a major outcry in the public the Cyprus government paddled back and decided only people with more than € 10.000 Euro on savings are affected. Could this happen in the U.S.? Yes it can. According to the Personal Liberty Digest the United States Congress is already talking about a proper law that allows holding innocent Citizens responsible for the failure of Bank managers; the very same Bank-managers that we trust with our money. Bank-Managers are not the only irresponsible People with our money. Even worst is the Government and their denial to responsible administer the “People’s Money” commonly known as Tax revenue. In U.S. Mainstream media ignored, but in the European Media a huge Information-Bomb the IMF under Christine Lagarde came up with a radical idea on how governments could level their budgets. Basis of the context is that the governments currently are and will not be capable of cutting their National debt and fulfill their fiscal responsibility of a balanced budget and no policy so far, investment and stimulus vs. Budget cuts, has been of any success. The IMF suggests in their think-tank report from October 2013 under the title “Fiscal Monitor 2013 Taxing Time” a 10% “Compulsory Levy” on all citizens and corporate savings accounts as onetime fee. And they really mean every savings no matter if it is cash on a savings-account or some sort of stock options. No matter if you are a private citizen, entrepreneur, small business owner or corporate owner. If you are a Private Citizen: Every responsible citizen tries to save some money. Either for the kid’s college, the well-deserved world travel in retirement, or just for hard times. Savings are generally money “left” after it is taxed. This money then is called in the bankers’ language “Substance” or “Basics” because it is already taxed money. Now we are clear that on interests received on those saving substance we have to pay tax again – but ONLY on the interest and not again on the substance. If the governments however follow the IMF guideline or idea then you are not only pay tax on your income and interest but also are stripped of 10% of the substance / stock option / retirement or any other saving. If you are an Entrepreneur/Small business owner: You probably have a business account. After paying all your dues and fees to all sorts of state, federal or local governments you might save some money in a savings account – a so called “appropriation” for further investment and to grow your business. In addition to what you now been stripped as Private Citizen (above) also your business appropriations is forcefully taxed. DON’T FORGET – IN ADDITION. If you are a midsized Business owner (50 Employees and more) or corporate owner: Also to the two mentioned above add all your pensions’ funds and social funds you have aside for the wellbeing of your employees. There is no limit to the upward spiral. After the publication hit the news, ignored by the U.S. Media it hit like a bomb in the European Media especially in Germany and Austria who have not only already been there but also those governments including the French government think very loudly for the longest time with this idea. Facing public outcry over this idea Christine Legard, current chair of the IMF, immediately paddled back and announced that this is NOT policy only the summery of a brainstorming and analytical work by their think tank. But here is the real danger. The International Monetary Fund (IMF) is an international organization that was initiated in 1944 at the Bretton Woods Conferenceand formally created in 1945 by 29 member countries. 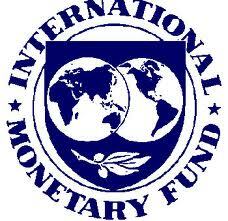 The IMF’s stated goal was to assist in the reconstruction of the world’s international payment system post–World War II. Countries contribute money to a pool through a quota system from which countries with payment imbalances can borrow funds temporarily. Through this activity and others such as surveillance of its members’ economies and the demand for self-correcting policies, the IMF works to improve the economies of its member countries. The IMF describes itself as “an organization of 188 countries, working to foster global monetary cooperation, secure financial stability, facilitate international trade, promote high employment and sustainable economic growth, and reduce poverty around the world.” The organization’s stated objectives are to promote international economic co-operation, international trade, employment, and exchange rate stability, including by making financial resources available to member countries to meet balance of payments needs. Its headquarters are in Washington, D.C., United States. Reading between the lines proves why this “analytical work” is so dangerous. While other think tanks usually serve as basis for broader discussion the ideas of the IMF usually become policy. The IMF ideas usually become the worldwide policy and guidelines for key interest rates and the financial course of the member countries. Officially disclaimed, the discussion over an extensive Debt-cut commonly known in the financial world as “haircut” is evident. The positive experience for debtors by haircuts in Cyprus and Greece increased the liking of this idea. Also evident is who will be paying for those haircuts at the end – those who still have the funds on day X. Thus this idea of the IMF is nothing new. The basics of this study dates back to 1952 and the “German Model” also known as “Germany 1952”. Back then German restructured his derailed national budget elegantly with a compulsory levy of 50% but not at once. They did it in form of a 30 year limited “1.67 percent-once-a-year wealth compulsory levy”. The renowned “Boston Consulting Group”, short BCG in September 2011 came out with a very similar idea. Under the title “Mesopotamia – the looming threat of debt reduction” this highly respected group suggests in their, publically not very well recognized, study a permanent compulsory levy. You see this idea is not new after all. Putting 1+1 together the idea of the U.S. Congress, allowing a bank bail-in through customer compulsory levy makes a whole lot more sense when you look at the idea of the IMF. What at the first look appears to be a favor to banks and a move towards responsible fiscal policy not making tax payers but rather customers responsible for their banks at a closer look appears to be a test run. If people accept the idea of a bank bail-in why should they not accept a “Government bail-in”? Properly sold, and we know how good progressive Democrats play the media propaganda, people could actually think that this is a one-time deal and it helps the government. After all, it was the Democrat John F. Kennedy that said in 1961 “Don’t ask what your government can do for you, ask what you can do for your government”. Have you ever experienced that our or any western, government was learning from its mistakes? Have you ever experienced when the federal government increases the income through higher taxes they actually cut spending, be more responsible, pay off their debt and put money aside for hard times (as Texas does with the Rainy day fund)? I didn’t and who tells us that this will be case when the IMF gets through with their idea? And who will tell us that this idea of the IMF remains a one-time deduction and not a permanent re-distribution? And is this the American way? Your thoughts are welcome.